Go, go, go bit of putty! Happy Christmas! I hope you all “had” a good “one”. I was in Northhumberland, experiencing a mixture of beautiful cloudless skies with frosty mornings and terrifying, window-rattling storms. Anyway, it being the season of goodwill and all that, System 3 have finally released the Amiga version of Putty Squad to the world at large, a mere 20 years after it was given glowing reviews in the gaming press and then vanished without a trace save for a couple of coverdisk demos. A spot of playing reveals it’s very similar to the released SNES version, although with controls designed around the one-button joystick most Amigas used in a way that works surprisingly well. There are a few downers such as the fingers pointing to the exit and (especially) the passwords not appearing onscreen for all that long. Keep a pen handy or, if emulating, be prepared to hit whatever pauses the emulation whilst you scribble the codes down. But apart from that, a quick play reminds you that this game is generally as brilliant as it’s ever been and well worth a shot when it’s going for nowt. Putty Squad works on any AGA capable Amiga and comes on two disks. The ADF images (which can be ported to real disks – instructions provided in the download) are available from System 3 here. Happy, erm, puttying. 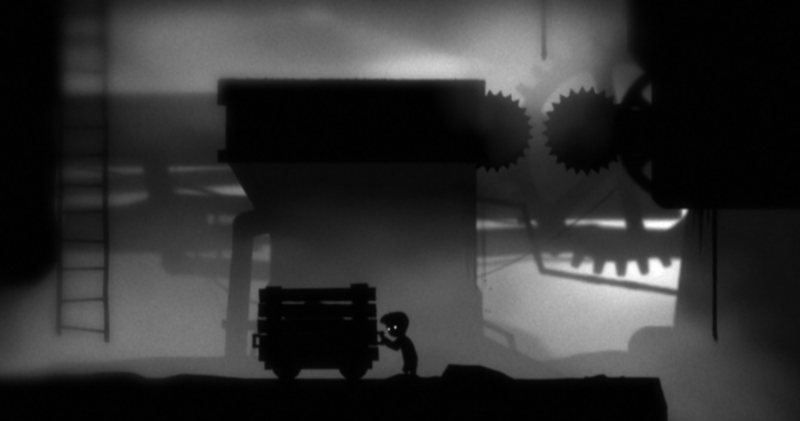 LIMBO is basically the game that Shadow of the Beast III was trying to be, isn’t it? Well, this is an interesting development. It looks like someone has decided to remake the classic ’90s arcade adventure Flashback for modern platforms. And when I say “remake” I mean “remake”, not “re-imagining”. 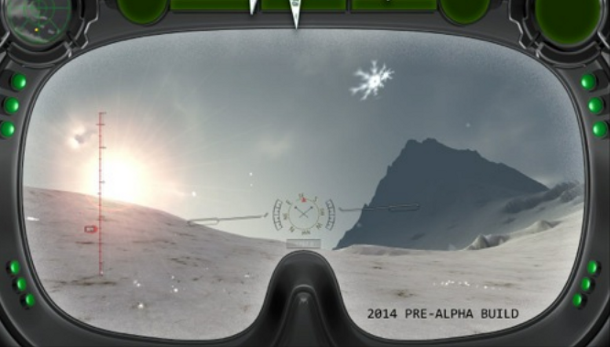 It’ll have posh new graphics but the gameplay and levels are, apparently, going to be the same. 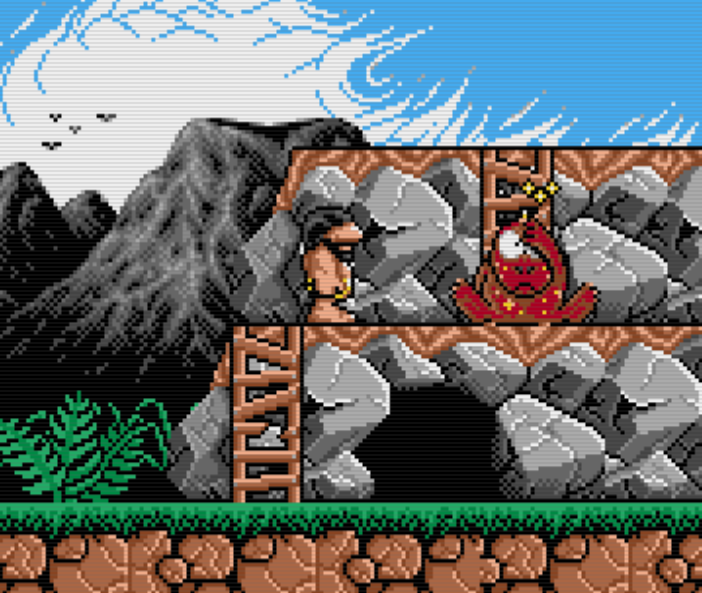 It’s been such a long time since I played Flashback for anything more than about ten minutes that I can’t remember whether it stands up well or now feels very dated but its reputation and my memories suggest that this might well transfer quite well to modern HD graphics and I’m always happy to see something that might attract people to the joys of 2D gaming. There really is precious little to go on at the moment so why not gawp at the picture off in the top-right there? Pretty. I’ve been playing this game for a long time. That’s my excuse for the piss-poor, derivative names of the characters in my party. 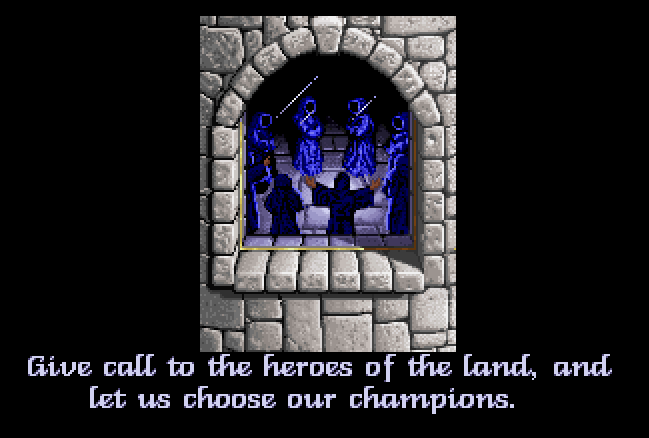 Of the number of first-person, realtime CRPGs that cascaded into the market in the years following FTL’s seminal 1987 Atari ST title Dungeon Master the best known is still probably Eye of the Beholder. This excellent title, programmed by Westwood Studios and incorporating the Advanced Dungeons and Dragons ruleset and world, proved extremely popular and spawned a sequel – Eye of the Beholder II – which many fans believe surpasses the original, as well as a third game which nobody does. Taking control of a party of four adventurers, the player entered the sewers under the city of Waterdeep looking for the troublesome evil that plagued the city, progressing through a mixture of combat and puzzle-solving. 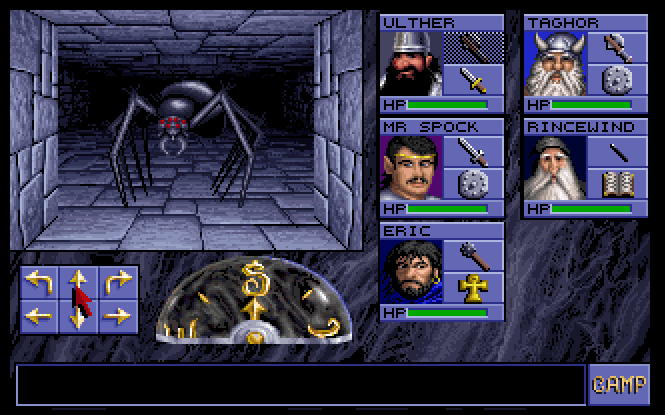 Taking in the aforementioned stinky sewers, spider-infested dwarvern ruins and dark elf lairs the game had the feel of a fantasy epic, despite taking place entirely underground, and continues to have a fanbase to this day. There’s only one problem: which version to play. You see, the two most popular versions are those for the Amiga and MS-DOS machines; the Amiga has the far superior sound effects but the DOS version has 256-colour VGA graphics which look much better than the 32-colour Amiga port. It’s a toughy – pictures or sound, daddy or chips? The thing is, there’s no need to make that choice. There’s actually a little-known unofficial port of EOB which brings both of these together but, more crucially, adds something even more important. You see, despite generally being very good and still offering a great deal to modern gamers, CRPGs of that late ’80s/early ’90s era tend to put people off for one very simple reason: the player needs to make maps to progress and because this in the era before games had automapping (largely for reasons of RAM, I’m guessing) which meant maps had to be done the old-fashioned way: pen and graph paper. What was barely tolerable then is intolerable now and only the most patient retronaut would bother to break out the pad of squared paper and get cracking when they could play something that draws the dungeons for them instead. 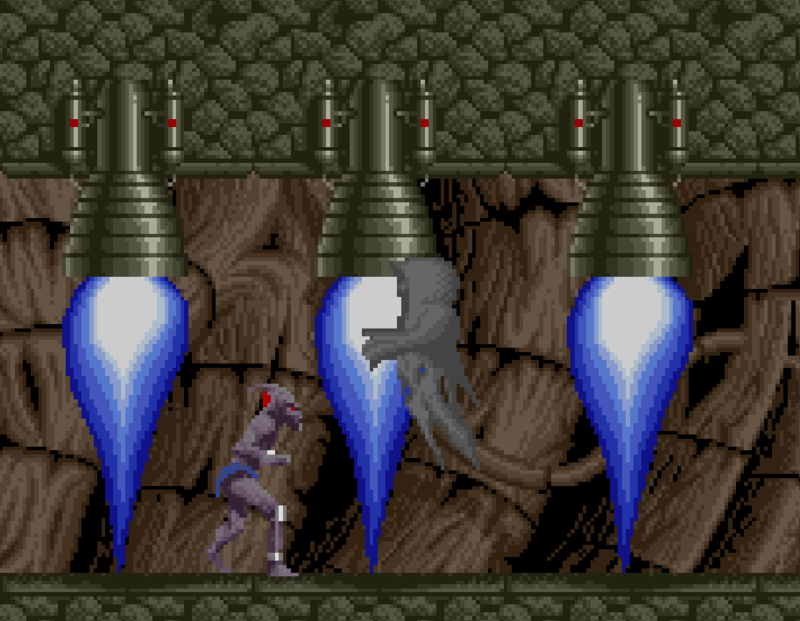 So, when mixing-up the graphics of the DOS version with the sound effects of the Amiga version they naturally threw-in an automap as well. So enough background, how do you play it? Well, sadly it’s not a fancy-pants Windows port along the line of the one done for Dungeon Master that you might have expected. 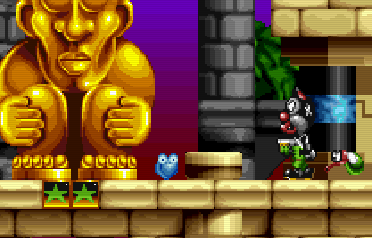 It’s actually a version for AGA Amigas which runs from hard disc only, although it works through an Amiga emulator too if you can be arsed setting a HD up on it. As for where you can get it, that would be here.